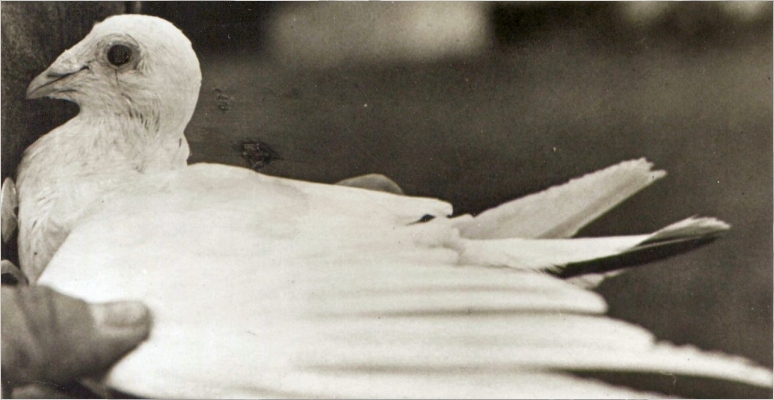 During the First World War carrier pigeons played a crucial role in delivering messages from the front line. 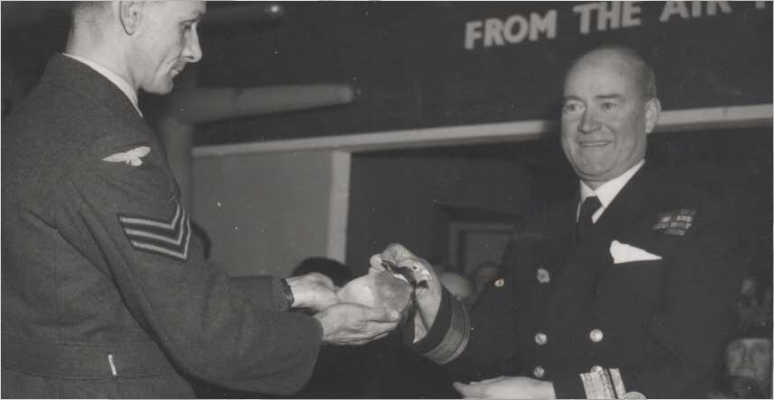 During World War 2 pigeons were again called upon and one of their roles saw them become part of a bomber crew, and many would play a vital role in the rescuing of downed Allied air crew, with a number winning the PDSA Dickin Medal as a result of their actions. Formed during February 1939 the National Pigeon Service Committee originally had three members, all leading pigeon fanciers, and a secretary, who was also secretary of the International Pigeon Board. This was soon increased by a further four members to bring the total to seven. The NPS was then split up into seven military areas: Western, Southern, Eastern, Southern Eastern, Scottish, Northern and Northern Ireland with one committee member in charge of each area. Membership was offered to pigeon fanciers who had a minimum of 20 pigeons in their lofts which were trained and bred as homing pigeons and met the standards laid down by the committee. Once membership was approved the pigeon fanciers were expected to provide their services and pigeons as and when needed. 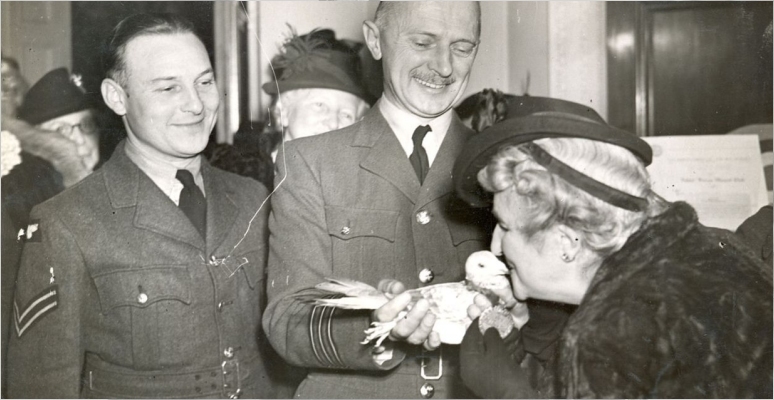 November 1939 would see the arrival of the first pigeons to serve operationally with the Royal Air Force. For each service flight the pigeon made 4D (66p today) was paid to the member whose pigeon it was. So vital were these pigeons that along Britain's coast a programme of culling birds of prey occurred to further aid the chances of the message it was carrying getting through. Posters were also put up to tell people not to shoot these birds. In total over 200,000 pigeons served with the National Pigeon Service in all military branches and some civil services. With the Royal Air Force receiving improved aircraft during the 1930s they were able to conduct operations further than before and for longer. The issue now arose that in case of emergency could a crew get a message back so a search mission could be made to find them? As long as the aircraft was above 5,000 ft any emergency transmission should get through. Below this it was unlikely to and if the aircraft had ditched in the water or force-landed it would most likely put the radio out of action. In the event that the radio did still work there was the issue during war time that a message being transmitted could be picked up by the enemy so radio silence was essential and another method of communication was needed. The solution for this came in the shape of the RAF's Pigeon Service, each reconnaissance and bomber aircraft would have a pair of homing pigeons aboard in a specially constructed water tight basket. So in the event of a ditching or force landing of an aircraft the crew's location was written down on a piece of paper and put into a canister attached to the pigeon's leg. Different coloured canisters were used depending on the service using the pigeons. The RAF used three variations blue, blue with a white patch and blue with a coloured disk. The pigeon was then released and would return to its loft where the message was given “urgent priority” and sent to the Air Ministry by the Postal Authorities as a telegram. Once received a search and rescue mission would get underway. Whilst one of the major factors for using homing pigeons was their ability to find their home loft wherever they were, their speed and range were also impressive. With an average speed of 50 mph it made it almost impossible for them to be shot down by ground troops. So the Germans turned to birds of prey to attack and stop the birds getting their message delivered. The range of a homing pigeon was around 300 miles so a bird whose loft was in the East of England could be released in parts of France, Holland, Belgium, the North Sea and the English Channel. At this distance the birds had a success rate of over 86% and in some cases flew further providing their crews with a chance of being rescued and many aircrew would, thanks to these brave birds. 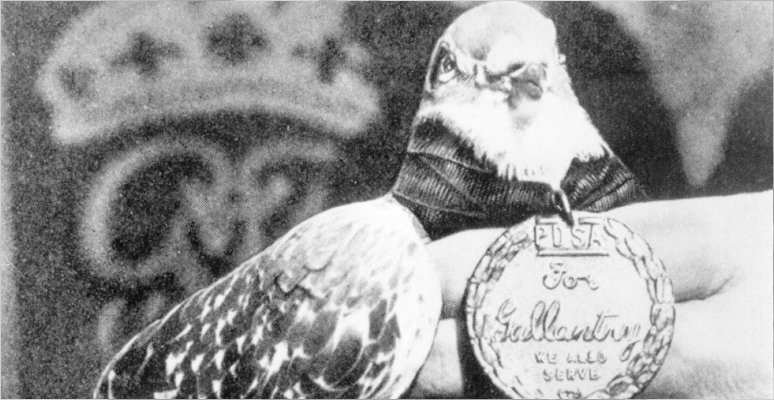 The first pigeon to deliver a message from a downed aircraft on the continent was one with a royal pedigree. This was Royal Blue who came from the royal lofts. He flew 120 miles in 4 hours and 10 minutes on the 10th October 1940 after the aircraft he was on had been forced to make a landing in occupied Holland. 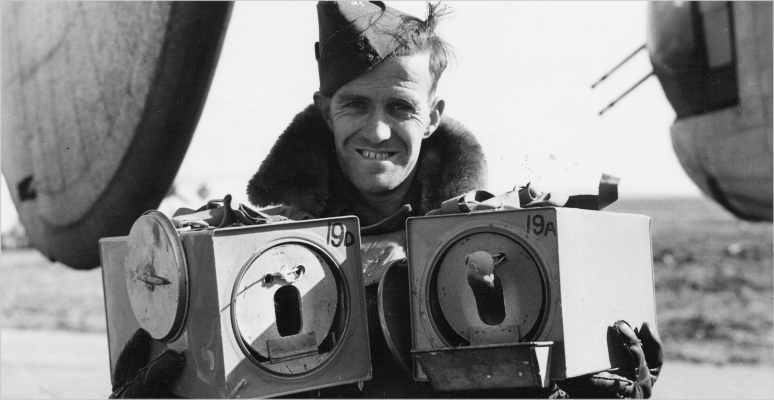 Delivering his message with the aircrew's whereabouts he was awarded the Dickin Medal in March 1945. 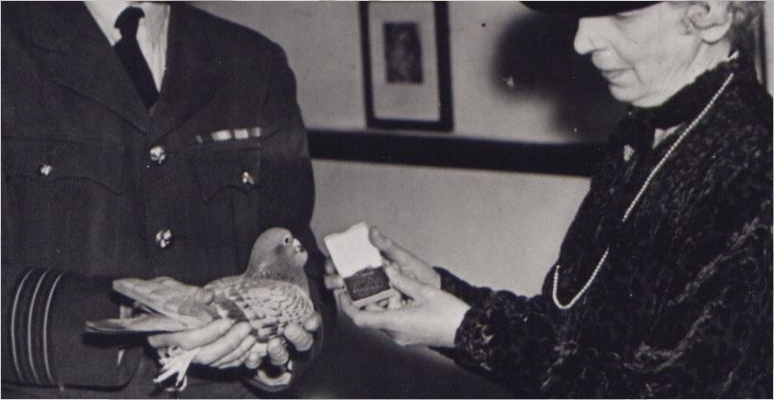 The first pigeon to receive the Dickin Medal was Winkie, she served with No. 42 Squadron, RAF Leuchars and with a number of sorties already completed it would be for her actions on the 23rd February 1942 that earned her the award. On this day the Bristol Beaufort she was on was returning from a sortie over Norway where it had been subject to flack and damaged. Whilst trying to return to their home base the plane was to badly damaged and ditched into the North Sea. As a result of the impact Winkie's cage opened and her instincts kicked in and she flew the 120 miles home. When she returned to her loft covered in oil and exhausted she didn't have a message detailing the crew's location. Despite this the Royal Air Force were able to work out where the aircraft could be by the birds time of arrival and other factors which enabled the crew of four to be rescued. To show their appreciation a dinner was held by No. 42 Squadron with Winkie the guest of honour. One of the very first winners of the Dickin Medal was White Vision, she was serving with No. 190 Squadron, Sullom Voe, Shetland Islands when on the 11th October 1943 the Consolidated PBY Catalina she was in had to ditch in the North Sea. With the radio of the aircraft out of action and other aircraft unable to see the crew due to bad visibility, which was down to 100 yards, a message detailing the crew's location was sealed in her leg canister. White Vision was then released and flying against a formidable headwind she arrived back at her loft. With the details of the crew's location the search was underway again and after 18 hours in the North Sea all eleven members of the crew were finally rescued. There is a dedicated national memorial to the role pigeons played in World War 2 at Beach House Park in Worthing. This takes the form of a garden, complemented by information boards, which has two stones each with an inscription. The left stone has the following carved into it “In memory of warrior birds who gave their lives on active service 1939 – 45 and for the use and pleasure of living birds.” whilst the right stone has “For a bird of the air shall carry the voice and that which hath wings shall tell the matter.” carved into it. In addition to the national memorial there are two Animals in War memorials that commemorate the role of the pigeon. One can be found in Park Lane, London with the other found in Eastriggs, Scotland. Located around the United Kingdom are a small number of exhibits related to the use of pigeons in war. Bletchley Park is home to the Royal Pigeon Racing Associations display and the Cornwall at War Museum has some dioramas to compliment its display. Whilst the McManus Galleries in Dundee focuses on Winkie the pigeon and the D-Day Story Museum in Portsmouth on Gustav the pigeon. During the Second World War, as in previous conflicts, a variety of animals were used by all branches of the armed forces. The founder of the PDSA Maria Dickin was inspired by the feats of bravery many of these animals performed. So in 1943 the Dickin Medal was born with the first one awarded on the 2nd December 1943. These would be given to animals serving either in civil defence or the armed forces for “Conspicuous gallantry or devotion to duty while serving in military conflict”. Today the award is considered a “Victoria Cross” for animals. The medal itself is bronze and has a ribbon of three colours, sky blue, dark brown and green to signify each service, air force, land and naval. With the words “For gallantry” and “We also serve” inscribed. Listed below are all 32 pigeons who have been awarded a Dickin Medal. Reproduced with permission from the PDSA. “For delivering an important message from a Raiding Party on the West Coast of France, although injured, while serving with the RAF in June, 1944." 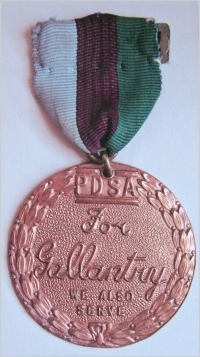 "For outstanding endurance on War Service in spite of wounds." Listed below are a number of websites providing further information about the use of pigeons during wartime.